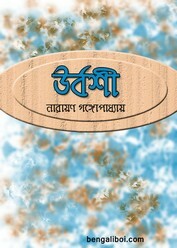 'Urbashi' is a short stories collection book, there are ten stories in this collection. all stories are written by the eminent Bengali pen man Narayan Gangopadhyay. These are- 'Kalanko', 'Hans', 'Puruno', 'Daskhinanta', 'Ekti Amor Ratri', 'Pratinayak', 'Daymochon', 'Maryada', 'Netar Janmo' and 'Urbashi'. He was an Indian Bengali writer and very famous among the children for his created legendary character 'Tennida'. Now I want to share this short stories collection book- 'Urbashi by Narayan Gangopadhyay'.